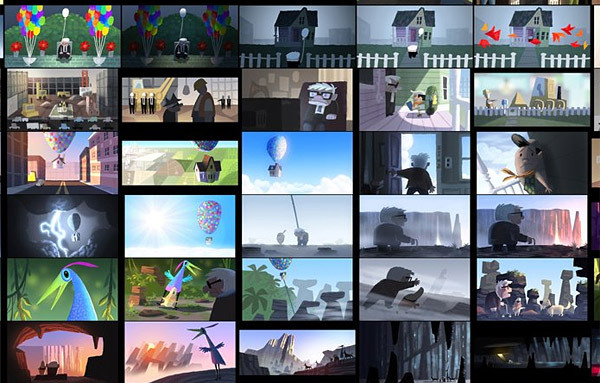 For the past 25 years, Pixar artists have delighted the world with their whimsical short films and charming side projects. 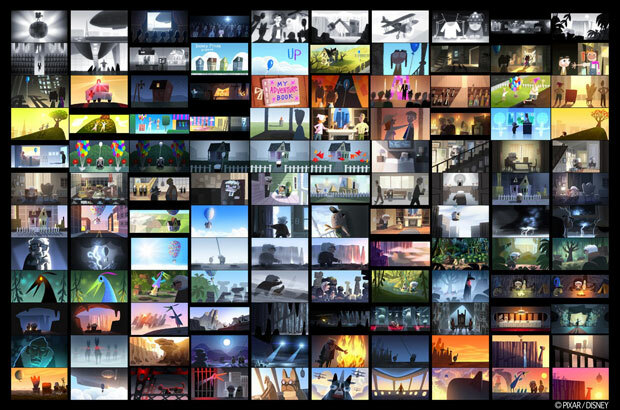 More than two years ago, animation historian Amid Amidi brought us The Art of Pixar Short Film -- a wonderful journey into the charisma and visual eloquence of Pixar's storytelling. 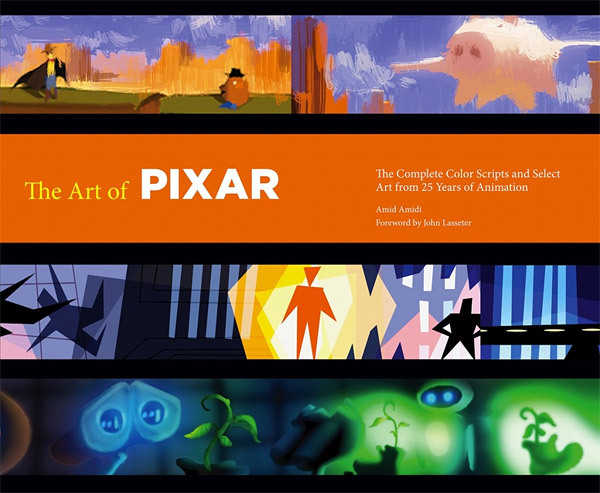 To celebrate Pixar's 25th anniversary this year, Amidi is back with The Art of Pixar: The Complete Color Scripts and Select Art from 25 Years of Animation -- a priceless behind-the-scenes tour of Pixar's 12 beloved feature films, old and new, including Toy Story, A Bug's Life, Up, Cars 2, and more. 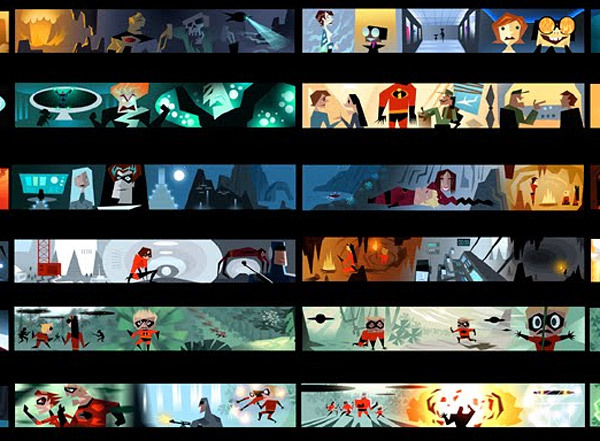 The art comes from the Pixar Living Archive, created during the development of A Bug's Life. 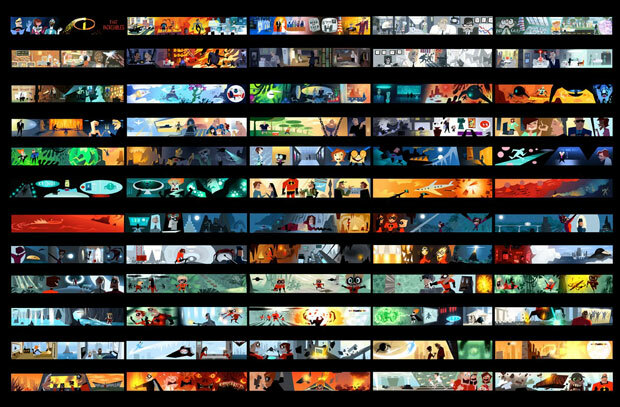 From the complete color scripts for each film published in full color for the first time to the stunning visual development art that took these stories from sketchbook to screen, the tome is an absolute treasure for animation aficionados and visual storytellers alike. A foreword by the legendary John Lasseter adds the ultimate cherry on top. 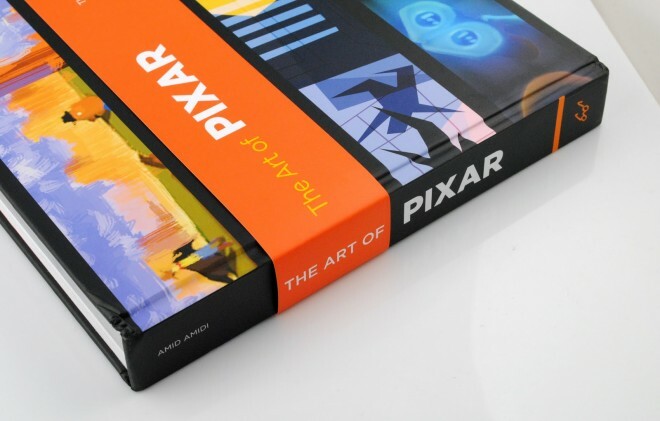 With 320 magnificent pages of animation magic, The Art of Pixar offers an unprecedented peek inside the creative process of some of Pixar's greatest gems, a fine addition to our favorite sketchbooks of great creators. Images: The Awesomer. H/T @openculture.